Rapid Urbanisation & Vertical Sprawl: Solution for a Growing Population? By 2050, the urban population will almost double to 6.3 billion — two-thirds of all the people on the planet. Cities are gaining 77 million new residents each year, equivalent to the population of Turkey or Germany, or twice the state of California. Much of this growth is sprawl. During the first three decades of this century, the global increase in urban land cover is expected to be greater than all urban expansion so far in human history. Humanity is moving inextricably to cities. For many people, there is only one response: to make cities denser. Adding the threat of climate change just reinforces the argument: dense cities can support the kind of local services and transport infrastructure that gets people out of CO2 emitting cars. Fifty years on from the high-rise social housing experiments that failed so badly, the UN’s “principles for sustainable neighbourhood planning” favour high density. It’s official: density is good for us. Developers and architects have embraced this new orthodoxy, seizing the opportunity to raise development values with ever more ambitious and complex designs. But urban density is still viewed with suspicion by much of the public, who associate it with rundown 1960s tower blocks, the spectre of Victorian overcrowding, or the nightmare future of Blade Runner’s vertical cities. So, planners, developers and designers are having to consider what higher density should look like, what it will mean for the people living in cities, and how far it can go. Will increasing density lead us to a more dynamic, wealthier, socially just and environmentally sustainable future? Or will it make the dystopian blight depicted in science fiction into a reality? And if a degree of density is a good thing, is there a point, as we reach further into the sky, at which the benefits start to break down? 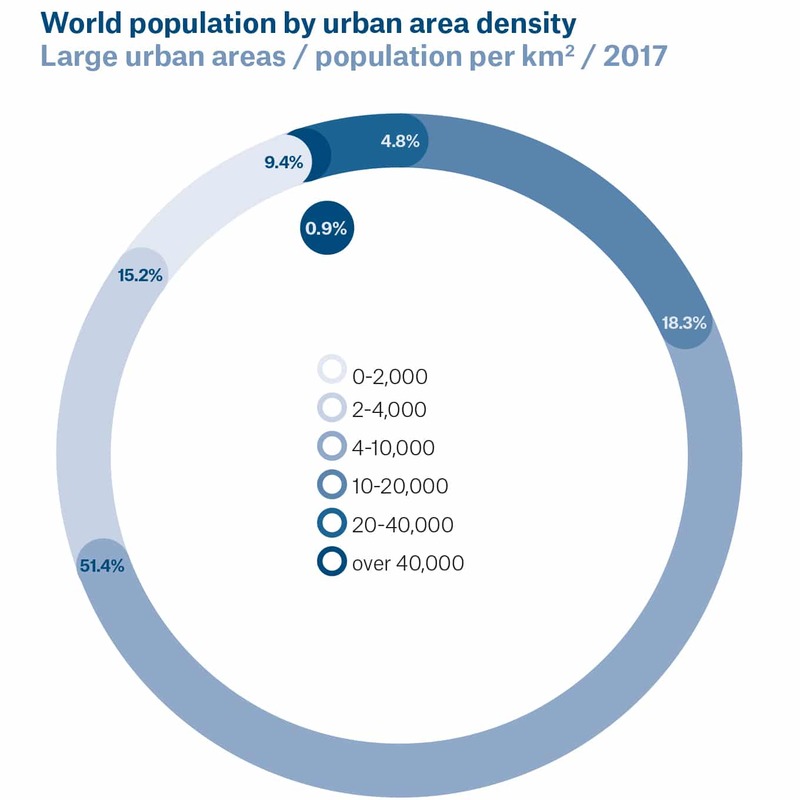 Across the world, urban density is hugely variable. Statistics on the subject are conflicting and often misleading, depending on how it is measured (in terms of people or buildings), how wide a net is cast around a city, and how much of the less dense suburbs are included. For example, while Manhattan island is seen as a 20th-century benchmark for density, with residential areas reaching 4,250 people per hectare (ha), New York City as a whole is low density by world standards, with just 180 people per ha. 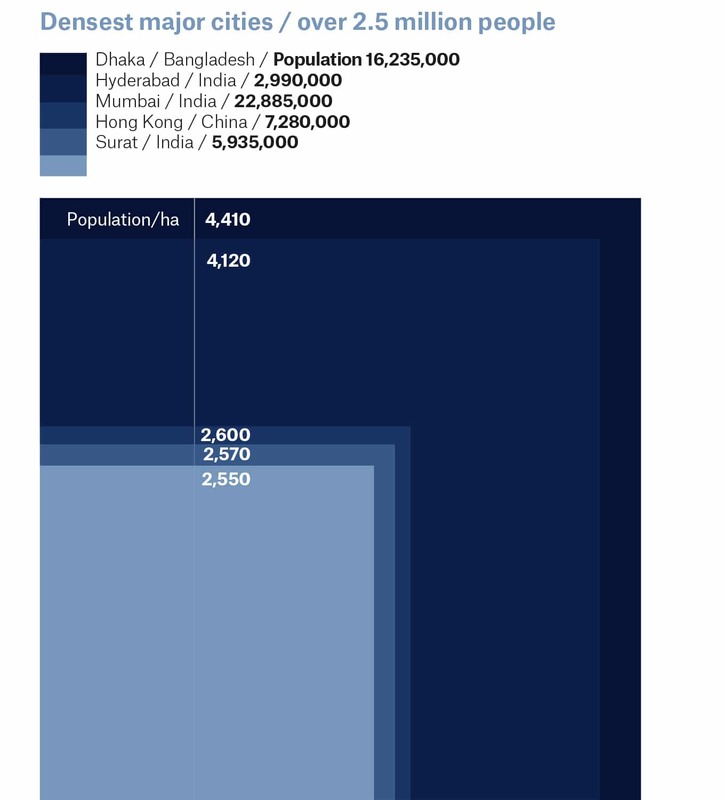 Dhaka in Bangladesh is currently rated the highest-density whole city in the world, according to US consultant Demographia, with just under 4,500 people per ha. 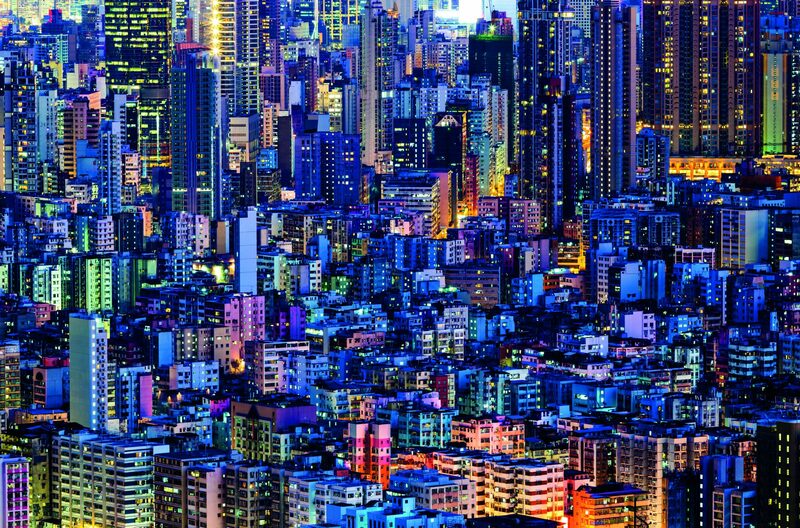 The city most synonymous with density in the 21st century — Hong Kong — is actually only fourth in global terms, with little over half the population density of Dhaka. While individual developments can be incredibly dense, what determines the overall figure is how wide an area this extends over. Thus, the perception that high-rise equals high density is often confounded by reality. According to figures from Savills, Kensington & Chelsea, London’s most desirable and expensive borough is also one of its densest, with 135 dwellings per ha, the majority set in low and mid-rise 19th century mansion blocks. In comparison, London’s postwar housing estates were often developed at lower densities than the streets they replaced, with an average of 78 dwellings per ha. Why is density a good thing? There are many reasons why density is seen as a good thing, but in short it is regarded as more sustainable, in the full sense of the word — environmentally, socially and economically. Cities offer far greater opportunity for the interaction and exchange that generates economic growth. So while they currently house around half of the world’s population, they are, according to the UN, responsible for 80% of global GDP. Greater density puts more people in practical reach of the services that businesses provide. Manila, in the top 20 most packed cities in the world, accounts for 47% of the Philippines’ GDP, despite the fact that it is home to just 12% of the population. In the same way, density gathers together demand for social infrastructure such as hospitals, schools and nurseries, as well as cultural and leisure activities. The other key argument is environmental. London School of Economics professor Anne Power has estimated that a minimum density of around 30-50 homes per ha reduces dependency on cars by making the provision of public transport viable and effective, while the placing of shops, services and workplaces within walking reach can get people out of motorized transport altogether. The book Power wrote with architect Richard Rogers in 2000, Cities for a Small Country, is still a key text here. It argued that doubling the development density in the UK to 50 homes per ha would remove the need to find greenfield land for around 1.5 million homes. Its view that “by living together in close proximity, we can accommodate far more of the world’s population, use less energy, concentrate goods and services, design ecologically sensitive buildings and move around more efficiently” is now effectively the orthodoxy. So if high density is better for us, the economy and the planet, the logical next question is whether there’s a limit. Increasingly, the technical answer from engineers is no. Designing “supertall” structures higher than 300m (the height of the Shard in London or One57 in New York) is becoming more common, with more than half of the world’s 111 supertall structures built since 2010. As work continues on the kilometre-high Jeddah Tower in Saudia Arabia, previously remarkable structures are becoming routine, with 84 towers above 200m built in China in 2016, including 11 in the city of Shenzhen alone. Those working in this field believe an even bigger change can happen when people start to embrace the idea of living in “vertical cities” — environments where all their needs can be met without necessarily having to go down to ground level. 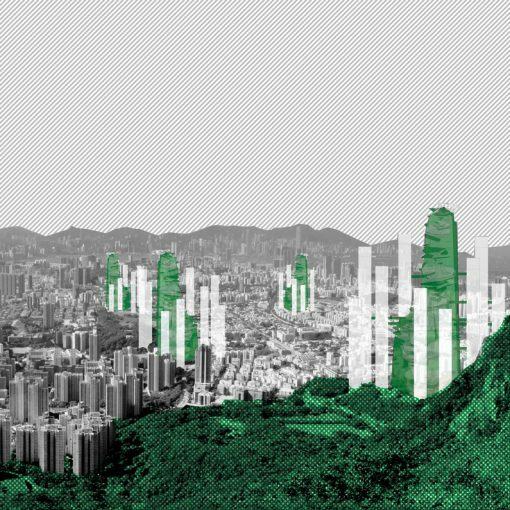 This approach is being pursued by architects including PLP and Australian firm Hassell, which has just completed a research project with WSP on how Hong Kong might be further densified. Sharro argues that for this model to take off, the necessary final step is for people to be able to move between the upper levels of buildings themselves. “The question is, if you’re on the 50th storey, and you need to go to the 30th storey of another building, could you actually do that without going down to the ground?” He insists this is not far off. 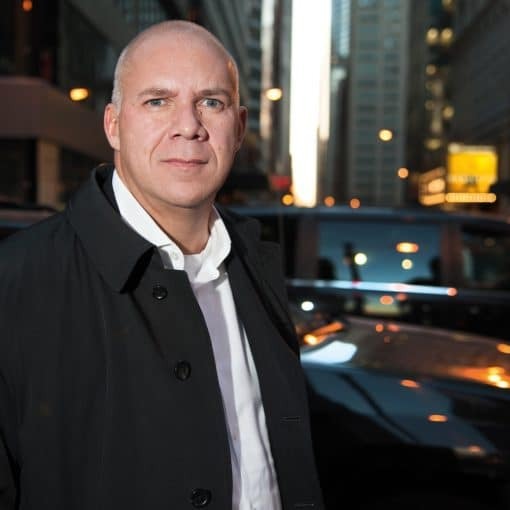 A research project within PLP’s office is already exploring the possibility of installing lifts that can move both laterally and vertically on the outside of buildings. “I know it sounds a bit like science fiction, but the cities we live in today would look like science fiction to people from 100 years ago,” Sharro points out, adding that he is simply “envisaging strategies for how these three-dimensional cities we’re talking about could be connected”. Even where hyperdensity is done thoughtfully, the environmental case is not necessarily a slam dunk. 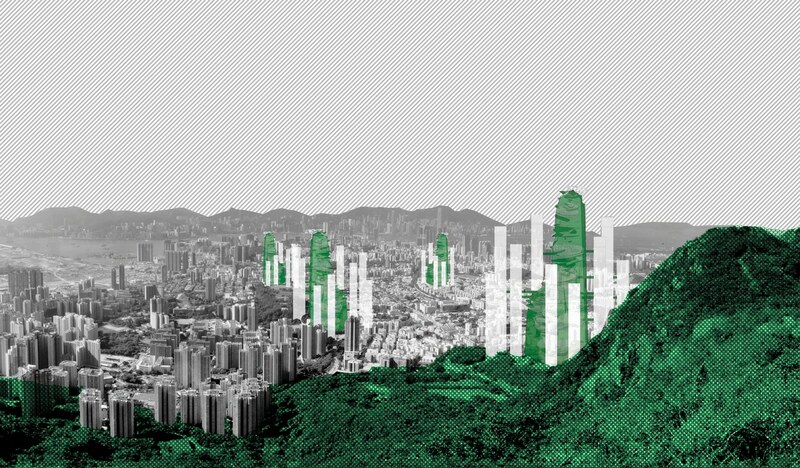 First, cities should not be thought of as benign in themselves: as LSE’s Power pointed out in 2000, they are “particularly harmful to the environment”, using three-quarters of the world’s energy in 2% of its land surface. Moreover, each city dweller uses more resources than the global average, not fewer: a recent research paper on megacities published in the Proceedings of the National Academy of Sciences found that while the 27 largest cities hold 7% of the global population, they use 9% of the world’s electricity, 10% of its petrol and produce 13% of its waste. Others believe that the heavy transport and other infrastructure needed for hyperdense cities is not as efficient as assumed, in part because it has to be run constantly, including at times of low demand. Hyperdensity also results in much less roofspace per dwelling for the kind of solar energy generation that could otherwise power new homes. If the sustainability argument isn’t clearly supportive of hyperdensity, there are others that are decidedly negative. One centres around the social implications of the commercial business model that often delivers high-rise. Duncan Bowie, an urban policy academic at the University of Westminster and adviser to former London mayor Ken Livingstone, says that the density of new development in the city has ramped up in recent years to 150 homes per ha, with as much as 60% provided in developments that are above the density levels recommended in the city’s guidelines. The upshot, says Bowie, is simply that land has become more and more expensive, which then enables developers to argue that they can’t provide social or affordable housing. If hyperdensity has the potential to be socially exclusive, others argue that it can be psychologically problematic too. There are many studies connecting urban environments to negative impacts on our mental state. These include a comprehensive 2004 study by Kristina Sundquist, published in the British Journal of Psychiatry, which found an association with depression and psychosis: the more densely populated the area, the greater the association, with those in the densest areas up to 77% more likely to develop psychosis. 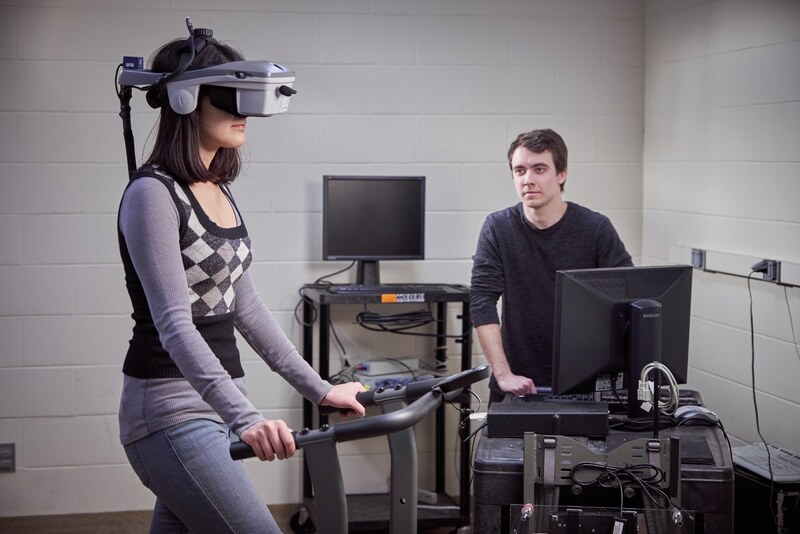 Now some, such as Canadian neuroscientist Colin Ellard, director of the Urban Realities Laboratory at Waterloo University in Ontario, are starting to draw measurable connections between these negative effects and the physical make-up of cities. 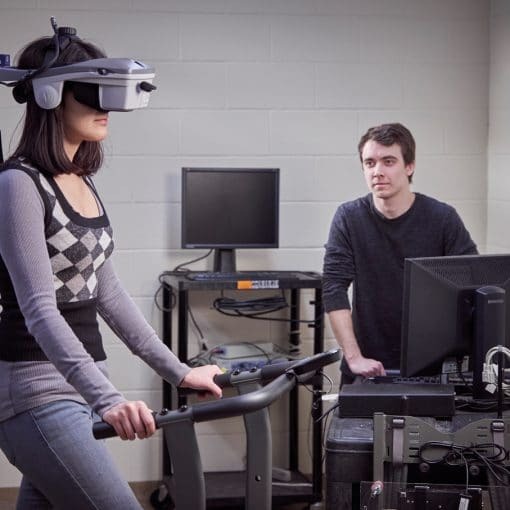 Ellard says his tests, which use virtual reality to chart people’s reactions to a variety of environments, show that “high-density settings in which we’re surrounded by very tall and oppressive structures … can have a substantial effect on your mood”. McLennan identifies the sweet spot as developments of between four and eight storeys that preclude the need for “super-scaled, mass-people-moving systems that end up using even more energy”. He sums it up as “enough density to allow for car-free living in a city that is resilient and walkable, while keeping us close enough to the ground to maintain our relationship with the Earth and with one another”. 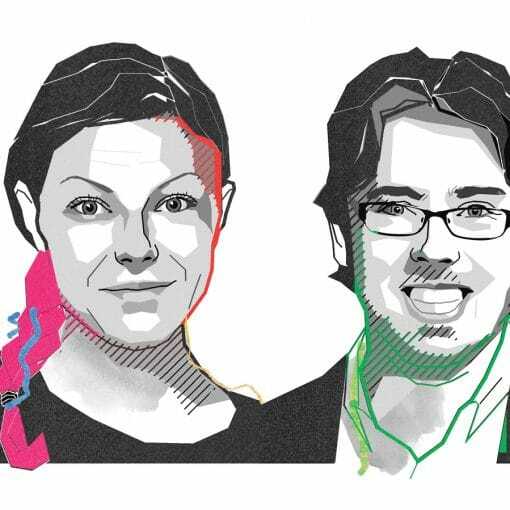 It’s a thesis seemingly supported by the success of traditional European cities such as Barcelona, Paris and Vienna. 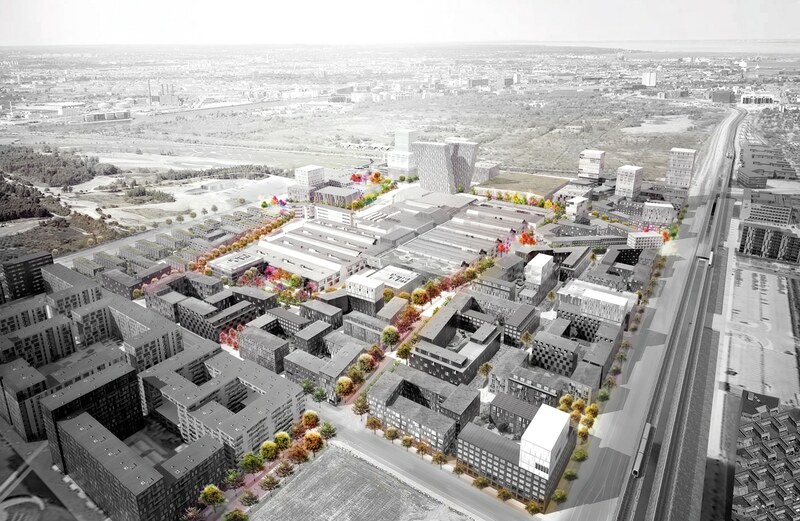 This mid-rise urbanism, inspired in part by pre-20th-century development, is being attempted in some northern European cities — for example in Copenhagen’s Bellakvarter project, designed by COBE and Vilhelm Lauritzen Architects — and also influenced Altman’s masterplan for the former Olympic Park in Stratford, London. There, Altman actually reduced the density of the masterplan he inherited in order to make the new communities feel “more like the existing London DNA of terraced housing and mansion blocks”. How to design for density? So where do these new answers lie? The most appealing route is perhaps set out by Altman — that it is not density per se that matters most of all, but attention to detail. “Promoting density in and of itself is not sufficient,” he says. “It’s not a blanket solution. The question is how it’s designed,” he says. By taking care to develop places that make a virtue of their density, projects can allow the potential in cities to be realized. The difficulty is that Sharro’s challenge remains: spending so much time agonizing over individual schemes can mean the desperate need of people just to be housed can be forgotten. “It’s a luxury we can’t afford,” he argues. In developing countries, the pace of urbanization cannot be underestimated. Meanwhile, in established cities such as London, planners, developers and designers often reach elegant and thoughtful solutions only after long debate, which leaves housing woefully underprovided. Templates for neighbourhoods that are dense, mixed-use, transport-based and, above all, quick to deliver are surely a challenge worth putting our minds to.